"The queen continues to recover from a heavy cold and will stay indoors to assist with her recovery," a Buckingham Palace spokesperson said. "Her Majesty will participate in the Royal Family Christmas celebrations during the day." 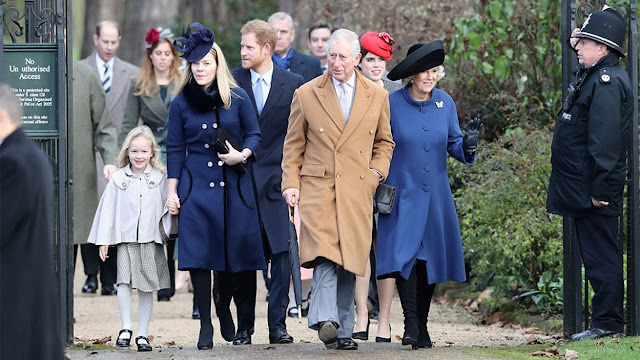 The queen has attended the Christmas service at the parish church of St. Mary Magdalene in Sandringham every year since the family started celebrating Christmas there in 1988. Since the 1960s, the Royal Family has been spending Christmas at the Queen’s private estate since 1988. The family used to spend the holidays at Windsor Castle since the mid-1960s. Prince Philip was well-enough to attend the church serice and he seen walking unaided. Prince Charles, meanwhile, arrived with Camilla, Duchess of Cornwall, and other members of the family. Hundreds of people assembled outside the church of St. Mary Magdalene to catch a glimpse of the Royal Family. Prince William, the Duchess of Cambridge and their two children, meanwhile, decided to spend Christmas with the Middleton at their home in Bucklebury, Berkshire. They then attended a service in nearby Englefield church.